Approximately 715,000 Americans have a heart attack every year. Knowing the warning signs of a heart attack is crucial to preventing death, but many are unaware of what these symptoms actually are. In a 2005 survey, 92 percent of respondents recognized chest pain as a symptom of a heart attack, but only 27 percent were aware of any other major symptoms. Despite what we may be used to seeing on television or in movies, heart attacks do not always come on with sudden, intense chest pain. 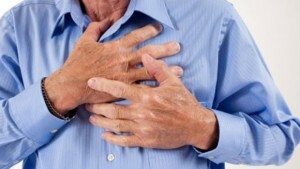 It’s vital that all care providers be educated on the symptoms of a heart attack and take quick action when necessary. Caregivers who use an innovative homecare system such as ClearCare Online can easily track the health of their senior patients using their homecare software. This becomes especially important when caring for seniors with heart disease. Taking prescription medicine properly is also a key element of caring for seniors with heart conditions, and ClearCare Online’s homecare system features an outstanding medication management section. Reminders can be set in the caregiver’s homecare software for dispensing medications and contacting pharmacies for renewals. Symptoms may develop slowly, suddenly, persist, or come and go every few minutes. If there is even a question of whether or not you or someone you’re caring for is having a heart attack, act immediately. The sooner a person is able to receive medical treatment, the less damage his heart will sustain. A helpful homecare system or homecare software allows caregivers to update family members in real-time so they are always kept up to speed with regards to their loved one’s care. Caregivers who care for seniors in their home can use a reliable homecare system or homecare software such as ClearCare Online to set daily tasks for exercise and healthy meal prep. Heart disease is the leading cause of death in the United States. By knowing the signs and symptoms of a heart attack, family members and caregivers may be able to save the seniors in their care. For more details on how a homecare system and homecare software might benefit your family, call ClearCare Online today.